Below is a list of homes for sale, if you would like to refine your search within 85016 you can easily do so here. This property has everything! It is luxuriously appointed and located in the prestigious Biltmore Hillside Villas. Perfect for 2nd home or primary residence. 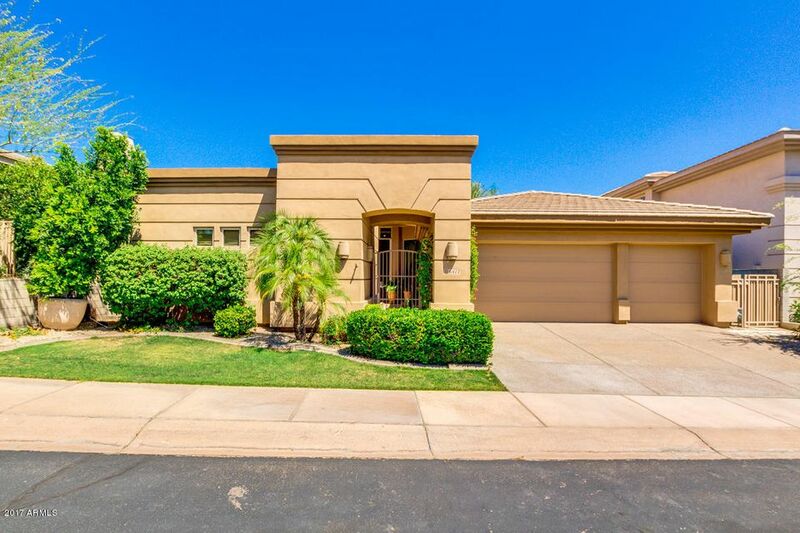 The home has been beautifully upgraded with stone flooring, custom canterra open fireplace, automatic louvered covered courtyard patio, built in outdoor gas Viking grill with refrigerator and granite surround, elegant master suite with custom closet. There is a separate casita offering a 3rd bedroom and bath. Great Room opens to gorgeous kitchen with Viking appliances and rich wood cabinetry, glass tile backsplash, copper countered breakfast bar. 3 Car Garage with lots of storage. Must see this special property. 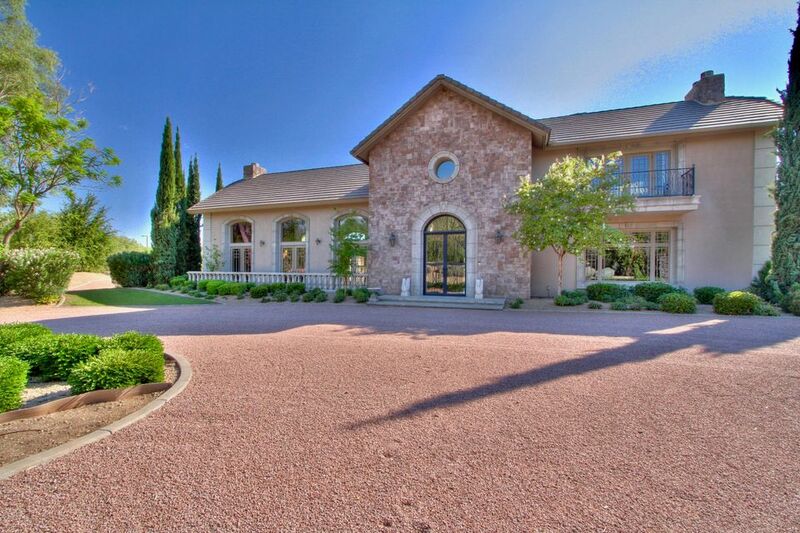 Spectacular home located in the Biltmore is move-in ready. Perfect split floor plan with 2 wonderful master suites! 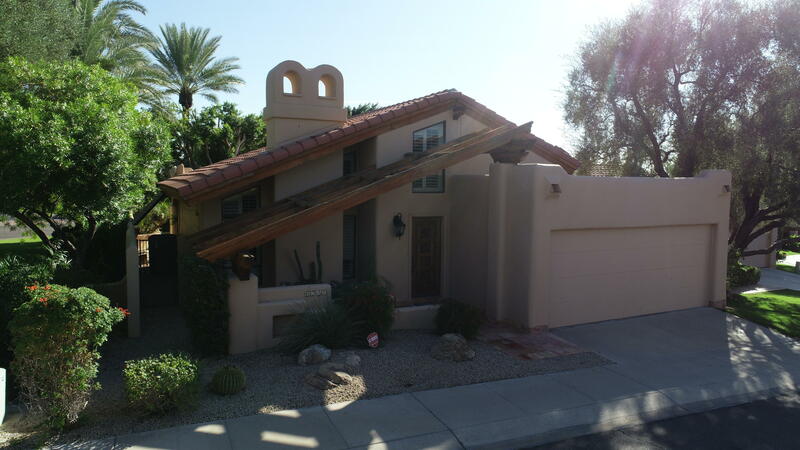 Roof updated in 2012 and pigmented maintenance free stucco outside. Doors, windows, kitchen, and bathrooms updated in 2012. Chef's kitchen with wolf gas cooktop, oven, microwave and hood. Sub Zero refrigerator, wine fridge and cooling drawers. The electric heated pool and spa is located in a very private backyard and can be remote controlled and cleaned by ozone technology, in addition there is also a gas heater to raise the spa temps quickly. A motorized collapsible glass door/wall that blends the indoor outdoor space seamlessly! Don't miss this opportunity! 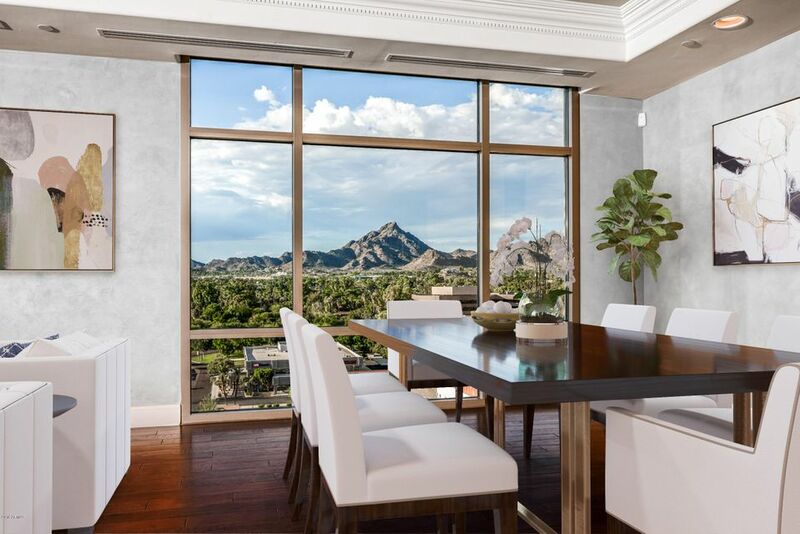 Fabulous Biltmore/Camelback Corridor location! This gorgeous family home is situated on a quiet street near the end of a Cul-De-Sac. 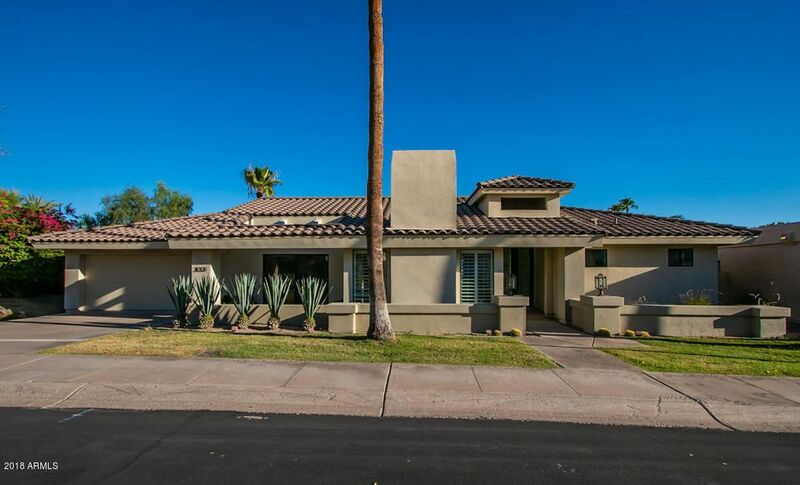 Tastefully updated with vaulted ceilings, natural lighting, hardwood flooring in the main living areas, gourmet kitchen with custom cabinetry, granite counter tops and upgraded appliances. Open floor plan with split master bedroom, updated bathrooms and a large bonus/flex room. Mature landscaping and a serene backyard perfect for entertaining or peaceful relaxation. This End Unit Is Just Steps Away From The Resort Style Pool. Three Bedrooms And Two Baths Make This One of The Most Desirable Floor Plans In This Great Community.Main Level Has Spacious Bright Great Room,Private Guest Bedroom With Bathroom,Remodeled Kitchen With Granite Counters,Glass Tile Backsplash and Stainless Steel Appliances.Upper Level Has Secondary Bedroom And Master Bedroom With Full Bathroom. Community Is Near Shopping,Restaurants And The Biltmore.Gated Entry With Lush Landscaping Around The Spectacular Pool And Spa Area With BBQ's. Tenant Occupied until June 30, 2019. Showing only with accepted offer. 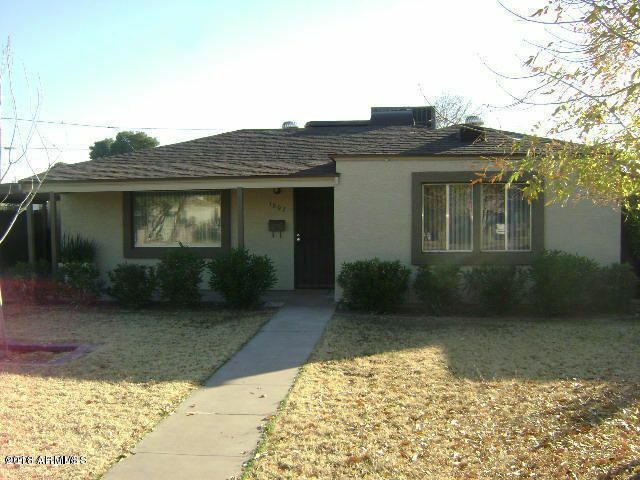 This home is a real beauty located in the Aztec Park Historical district. Block construction; Tile floors throughout the entire house; Plastered walls preserve the character of the original 1950 construction; Beautiful solid hardwood cabinetry with granite counter tops and accompanied by stainless steel appliances add the perfect modern touch to the kitchen. Also don't forget to see the totally remodeled bathroom. 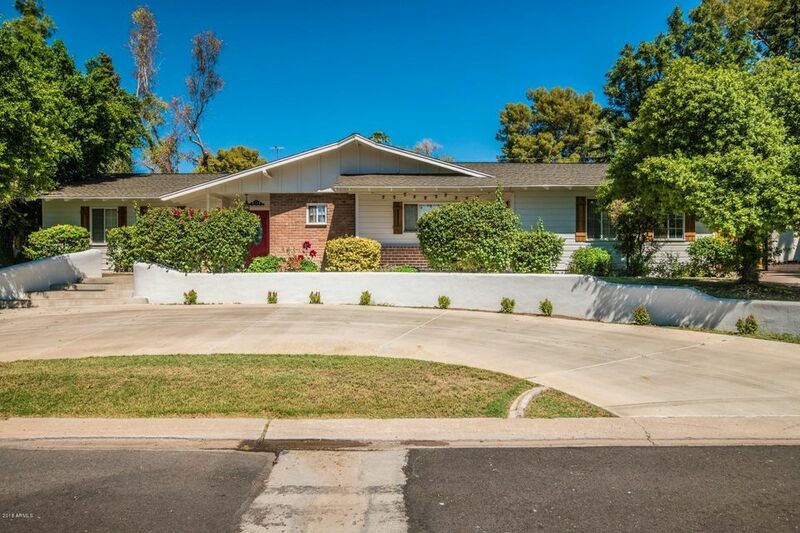 This home is the whole package, and it is carefully sited on a large irrigated urban lot with mature landscaping right in the Biltmore corridor, close to shopping, dining, schools, (public & private/parochial), public transportation, and downtown Phoenix. Come and see this home for yourself. You will love it! 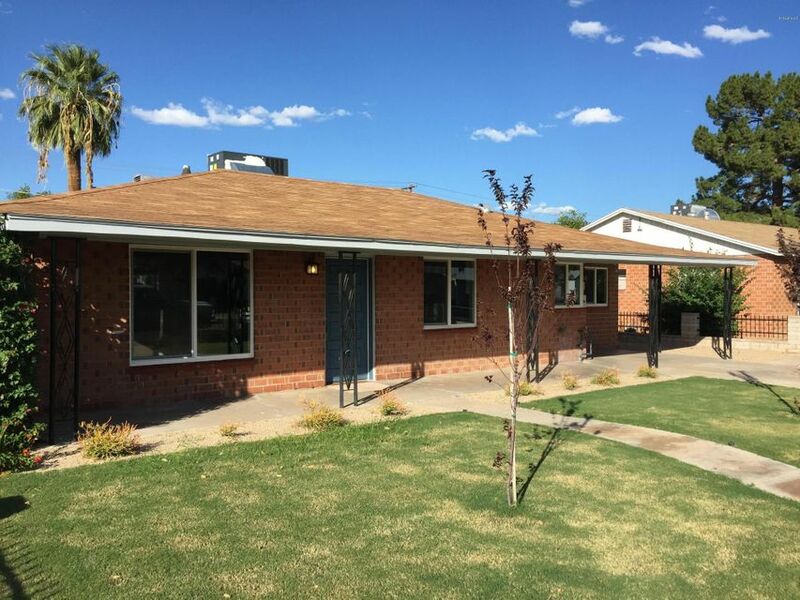 Brick home featuring 3 Bedroom, 2 Bath recently updated, open kitchen living area, additional room, back patio, detached storage, move-in ready. Kitchen with Granite Counter Tops, Gas stove top, good size backyard. 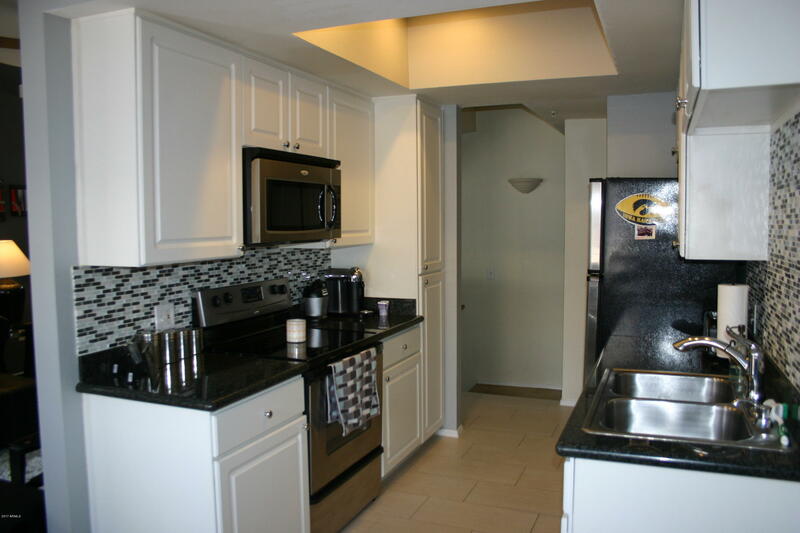 Convenient location, close to everything freeways, shopping, restaurants and entertainment. 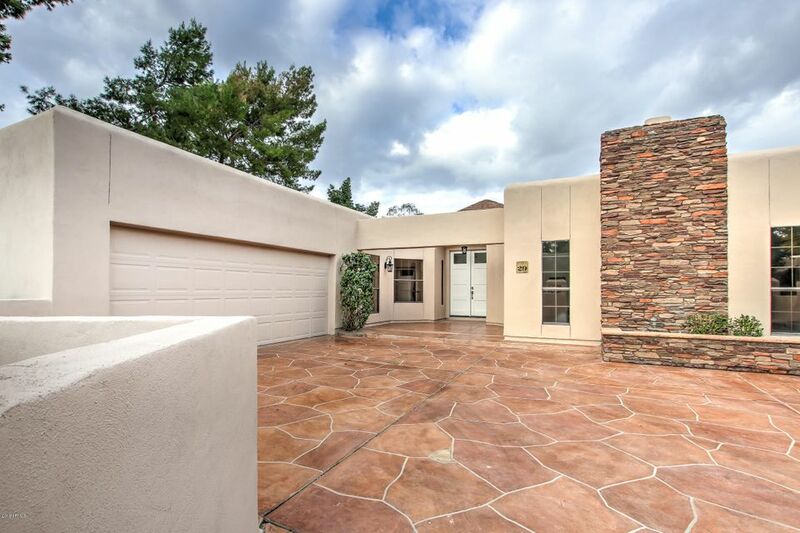 Stunning remodeled Biltmore home with the perfect open floor plan! Enter the double doors to a dramatic foyer. 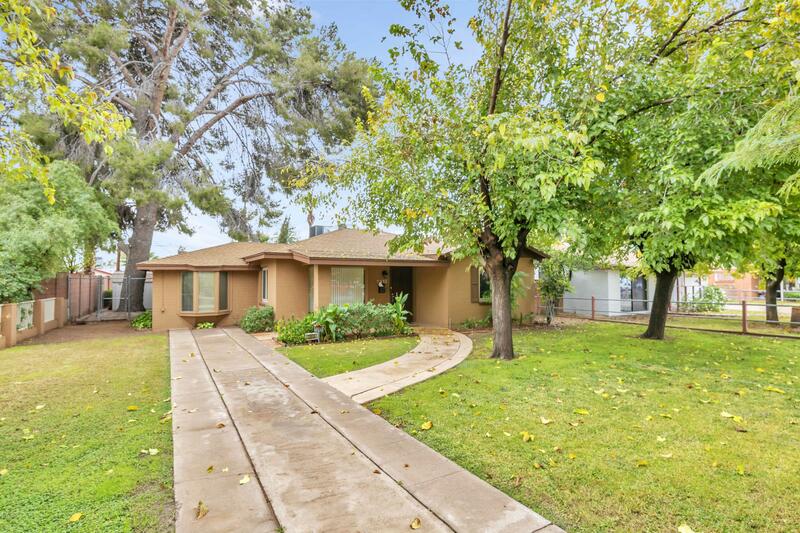 Fresh interior Accessible Beige paint, Birch Forest Gray Plank Wood tile flooring and new fixtures throughout. 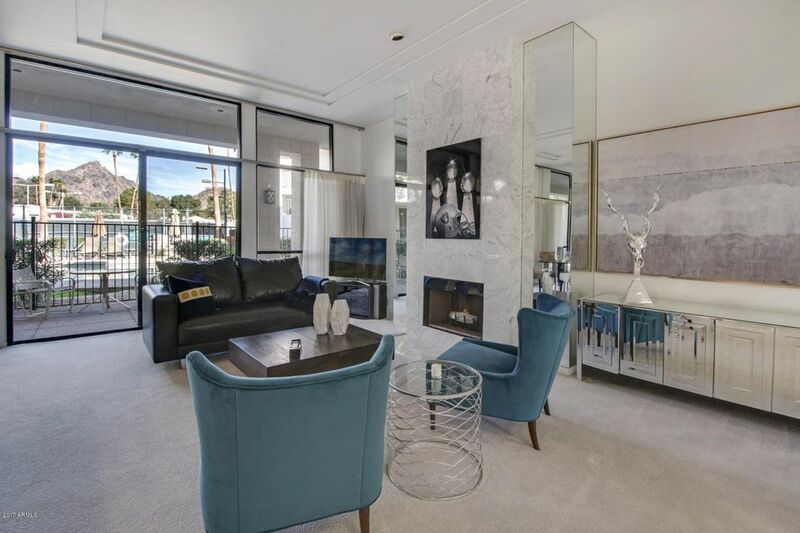 This tastefully remodeled home is great for entertaining with a large open great room and a showpiece fireplace with Golden Valley Chevron Marble Mosaic Deco. Gourmet Chef's kitchen with a large island, skylight, breakfast bar, granite counters, Viking appliances and Golden Valley Chevron Marble Mosaic backsplash to tie into the fireplace in the family room. Great indoor outdoor living with a pocket slider opening up the family room to the backyard which features a sparkling private pebble tech pool and spa. 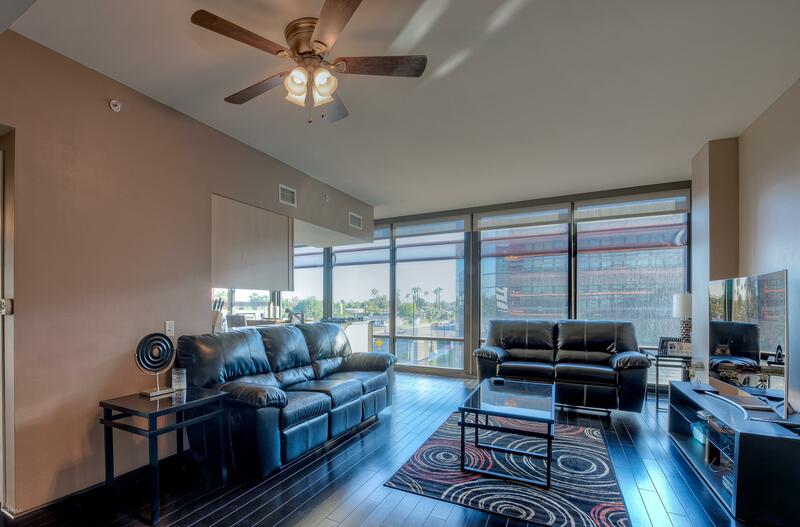 This chic condo offers unique cosmopolitan living in the heart of uptown Phoenix. It's absolutely gorgeous with an ultra stylish contemporary feel. Sunshine fills every room, and the designer finishes include beautiful granite, impressive wood flooring, and modern lighting. This luxurious residence offers high end living at its best, and when the sun goes down you'll be awestruck by the exquisite atmosphere and ambient setting. 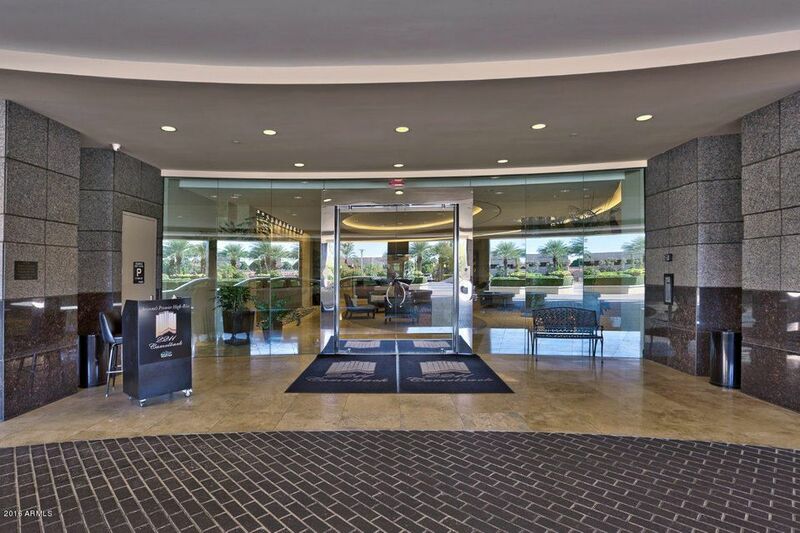 Just steps away from some of the best shopping and dining in the Valley, this is a perfect opportunity to blend serene desert living with an elegant big city feel.